Polamar Skies - An Update on Robo-AO | Astro What? Last week just about everything here on Palomar Skies was related to PALM-3000, the new upgrade to the Hale Telescope's adaptive-optics system. Readers of this blog may remember that PALM-3000 isn't the only game in town when it comes to adaptive optics on Palomar. 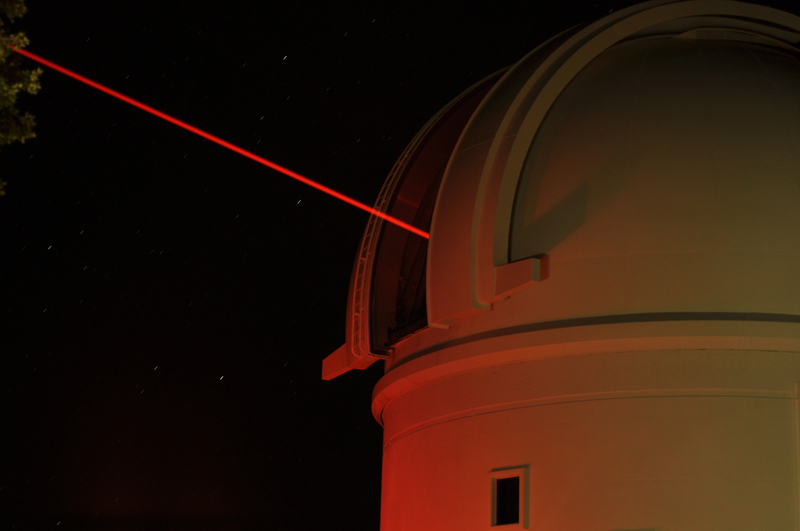 The other program that is pushing the envelope is Robo-AO, a laser-guide star adaptive-optics system for Palomar's automated 60-inch telescope. The Robo-AO team was on the mountain last week and Christoph Baranec, Principal Investigator for the program snapped these false-colors photos of their ultraviolet laser propagating out of the dome. 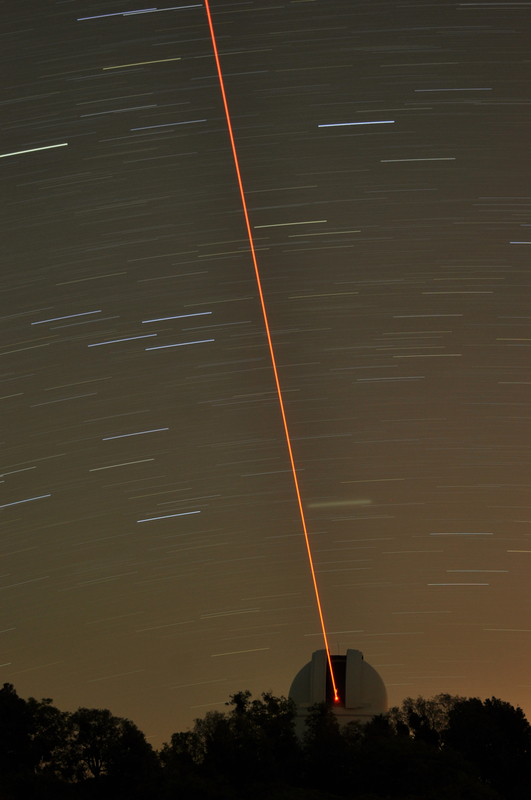 The laser makes use of Rayleigh scattering, which will ultimately help their system to correct for turbulence in the lower 10 kilometers (~6 miles) of the atmosphere. This will allow the 60-inch telescope to take very sharp images of a wide variety of astronomical objects. The Robo-AO program is still in the engineering phase. Expect a full science demonstration observing run to take place later this year.